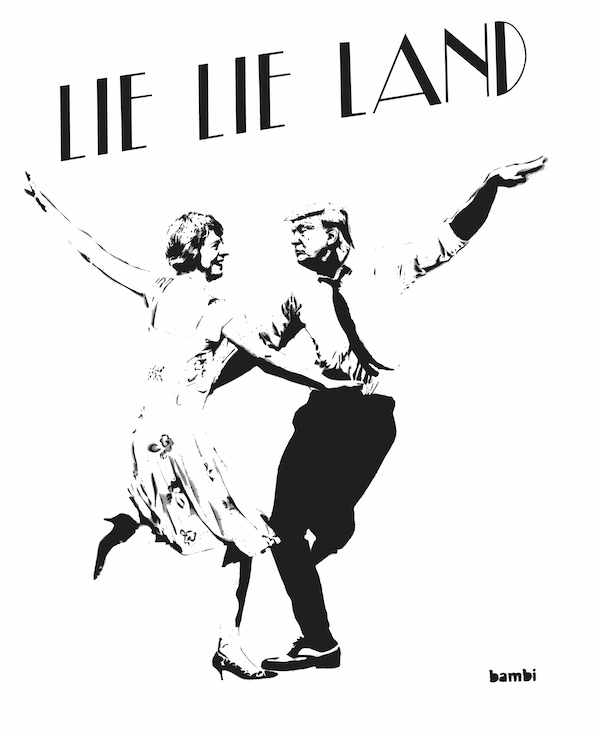 Bambi, Lie Lie Land, 2018. Spray paint on canvas, 100 x 100cm. Courtesy: the artist and Nanda\Hobbs, Sydney. Enigmatic and anonymous London-based artist, Bambi – described by The Guardian as UK’s greatest female street artist – holds her first Australian exhibition at Nanda\Hobbs. Paintings including ‘Amy’ and ‘Lie Lie Land’ have marked her by collectors worldwide as one of the leaders of this genre. Bambi is a fiercely determined artist who delivers a strong humour, laced with a feminist manifesto.